Firefighters with Durango Fire Protection District climb onto the roof of El Moro Tavern and Spirits on Oct. 5, 2016, to battle an early morning fire. 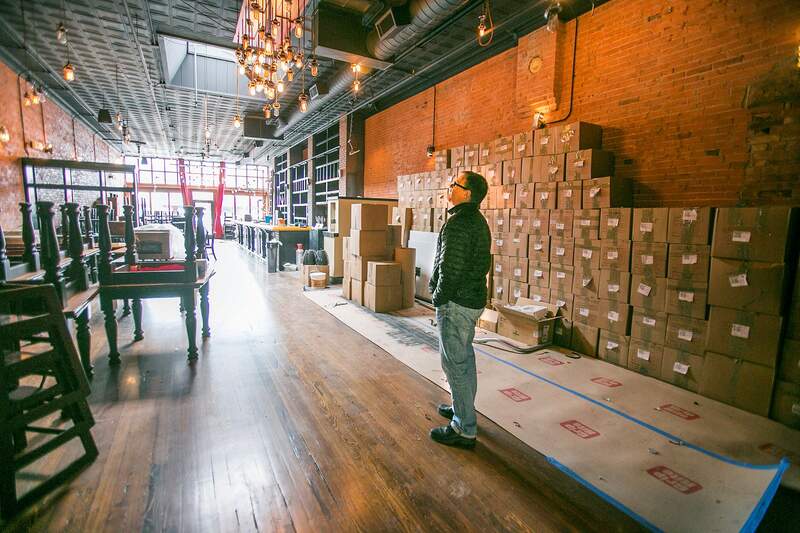 Kris Oyler, chief executive of the parent company of El Moro Spirits and Tavern, stands in the dining room of the restaurant in January, two months after fire damaged the rear of the building. The restaurant will mark the one-year anniversary of the fire by donating a portion of proceeds and collecting donations for the fire department. 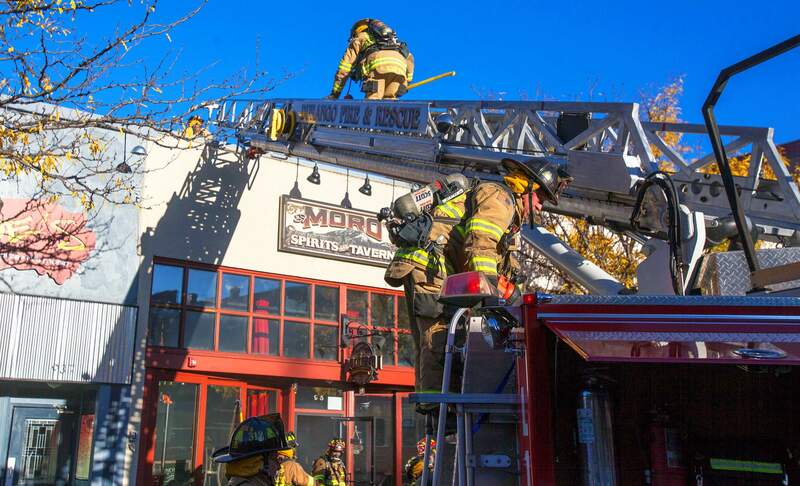 One year ago this week, an early morning fire caused extensive damage to El Moro Spirits and Tavern. To mark the anniversary, the restaurant on Thursday will donate a portion of sales and accept “fill the boot” donations for the Durango Fire Protection District. “We are incredibly grateful for all the first responders did,” said Kris Oyler, chief executive of the parent company of El Moro, in a news release. Smoke was seen from the street and fire alarms activated about 7 a.m. Oct. 5, 2016, at the restaurant, 945 Main Ave. The fire started at floor level behind a 100-gallon gas-powered water heater pushed against a wall, according to fire investigators. Flames escaped the unit and licked at a wall, eventually moving up the wall and spreading rapidly. The fire scorched the dry storage and dish-washing area located near the rear of the restaurant. Firefighters broke through the roof of the building to ensure the fire had not spread to the rafters and potentially adjacent buildings. The restaurant was closed about four months for reconstruction and cleaning. “We hope everyone will come out and join us for lunch or cocktails or dinner to help us say thank you to Durango Fire and Rescue,” said Dave Woodruff, El Moro’s general manager, in the release.